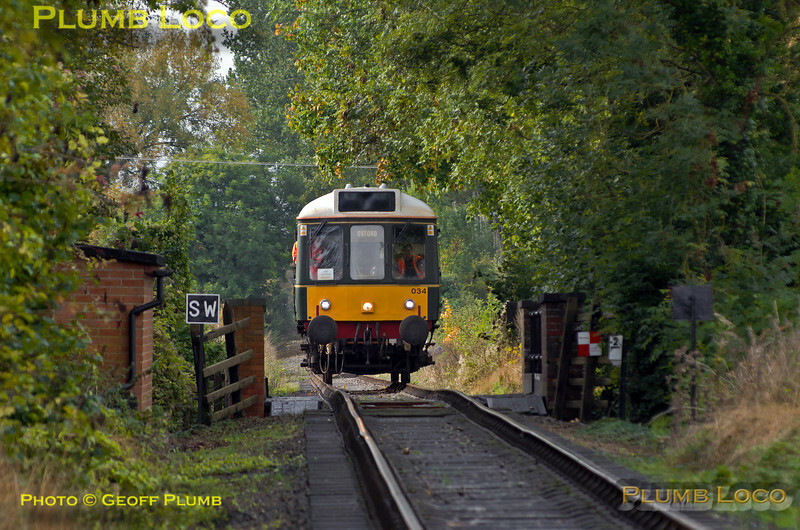 Chiltern "Bubblecar" 121 034 is now working back from Chinnor to Princes Risborough as 1P03, the 10:40 from Chinnor. It has just passed the cricket field at Bledlow and is about to cross the bridge over the road at West Lane near Manor Farm. 10:46, Saturday 19th October 2013. Digital Image No. IGMP1901.